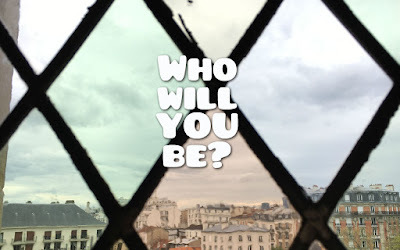 Here a Little, There a Little: Who Will You Be? Hello, it's been a while. Life is crazy. I should be doing homework right now. Or I should be practicing the piano. But I feel like it's important for me to write this blog post, because last week I realized something I've never realized before. I've been taught it my whole life, but it didn't mean anything to me until I was sitting on a train looking at everyone's shoes. I learned something I can't quite put in words. I can try to describe it by saying that it doesn't matter what you wear or what language you speak or how many pictures you post to Instagram in a day, but that doesn't quite cut it. I learned that life is so much more than how I am perceived. Last week I was in Paris. Before my trip I was stressing. I was about to visit the fashion capital of the world! I'm the sort of person who hardly ever does her hair before school, let alone put on makeup or find matching socks. But that's not to say I'm not self-conscious about the way I look, and many days I would look at myself in the hall mirror and think, "If only I had woken up a few minutes earlier today I could have put on mascara," or, "I wish I'd done my laundry last week, then I wouldn't have to wear this weird t-shirt." I know they're shallow thoughts, but they are the thoughts I had. So as I packed for Paris, I was extremely careful to pack my nicest travel-safe clothes. I even went shopping a week or so before I left just to be sure I wouldn't be embarrassed by what I was going to wear around France. And once I was in France I almost didn't want to talk when I was in public. I didn't want people to hear my American accent and criticize me for being a tourist. Then one day towards the end of my visit I was sitting on the metro and looking at the ground. I liked to see what cool new shoe brands people wore in Paris. But this time as I was looking at everyone's shoes I did not see a single name brand shoe that stood out. I'm sure there were Nikes and Stan Smiths and other kinds of shoes, but from where I was sitting I didn't see any really nice shoes. I remember thinking, "People aren't afraid to wear shoes like that in Paris?" I didn't think that thought in a derogatory way. There was absolutely nothing wrong with their shoes. But I knew that if I had worn shoes like that, I would have been self-conscious. And then I looked at my own walking shoes, which were nothing special, and saw the dust from the street. We all wore different brands, and some shoes were newer than others, but our shoes were all the same. Our shoes all walked the same metro steps and were now sitting in the same metro car going wherever we needed to go. An no matter what our shoes looked like, they would get us there. I realized that if people didn't worry too much about what their shoes looked like in Paris, the fashion capital of the world, then I best better not get worked up about what clothes I was wearing here, in my little city in America. I'm sure there are people who really do care a crazy amount about what they look like in Paris. I did see some pretty chic looking people while I was there. But my experience on the metro taught me that it really doesn't matter how closely you follow the fads. What matters more is the quality of person you choose to be. And let me tell you, I've been happier since I've been home. Yes my trip was phenomenal but I've never loved where I live more. You can get worked up about all the bad that's in the world and loose sight of what's important. Don't do that! Don't loose sight of the things that are right in front of you, filling you with experience and making life beautiful. Don't get carried away thinking about how much better things would be if you lived a different culture. Things wouldn't be better. They'd be different, but you'd still have trials just the same as you do here. So the least you can do is let go a little, step back, breathe deep, and decide to be the best you can be in the situation you've been given. You don't need to look the best. You don't need to be the most fit. You don't need to have the coolest friends. You just need to take life by the hand and realize you're beautiful the way you are. I still don't feel that I've accurately explained what I learned on that train. It's not just clothes. It's everything. Stop stressing about school and work and friends, just smile and do your best. It's easier said than done, but you'll be a lot happier if you can look at things with perspective. What your circumstance is right now will not be your whole life, but your attitude and decisions right now will determine where your life goes. So be happy. Stop caring about what others think. 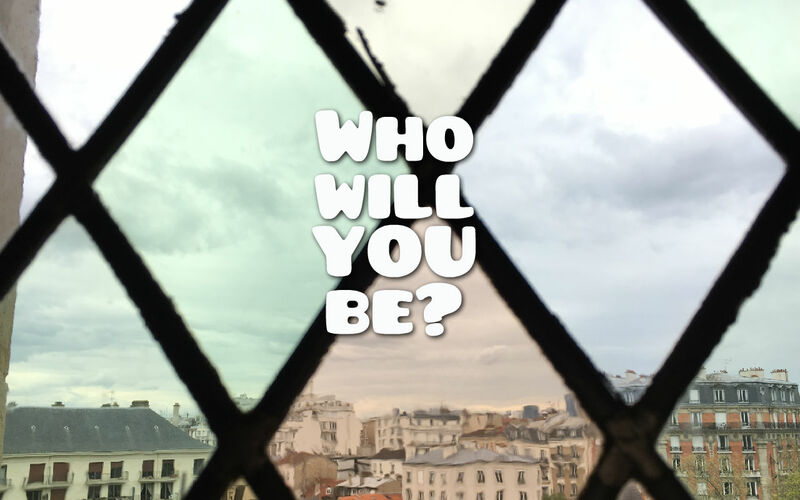 Decide who you will be, and then BE. A wonderful, thoughtful post...thank you. Hmmm...lots of food for thought here..thank you for sharing them. I'm always amused that the $5 boots I bought at the charity shop get more compliments than any of my other shoes.